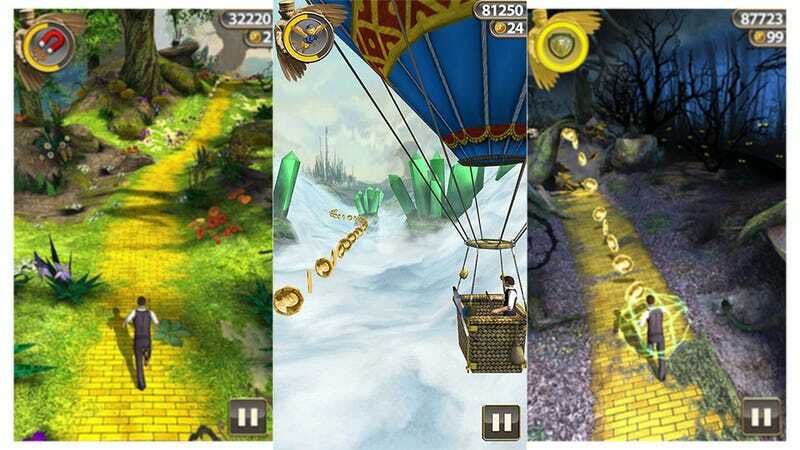 Imangi Studios' Temple Run: Oz launched on iTunes yesterday morning. Today it's at the number one position on the paid charts, and Mila Kunis isn't even in it. The mind boggles. I suppose the blockbuster film coming out in two days has something to do with the success of the $.99 app. I mean, Temple Run 2 proper is a free app, and it's slipping off the free charts while this paid tie-in debuts in the top spot. I do find it nice that a quality movie-based game can hit virtual stores before the movie hits and still deliver a quality experience. Even if it is a copy of another game with a few twists thrown in, it's nice to not be let down.